Tokyo, as one of the biggest metropolitans in the world, has so much to offer for nightlife. Many of you might have witnessed how colorful, literally and figuratively, the Tokyo nightlife is through scenes in movies, commercials, social media, etc. Options for nightlife are endless that it might actually overwhelm those of you who are new or not familiar with the area or the country. So, in this article, we will introduce you to 6 tours that are a perfect introduction to Tokyo nightlife depending on your interest. These tours are guided by a Japanese local, and are packed with the hottest spots. They will sneak you into the locals’ secret favorites, so even those living for a long time in Tokyo might get a surprise. Also these tours are perfect for a solo traveler wanting to connect with the locals and the other travelers. Take a look and start exploring the sleepless city! 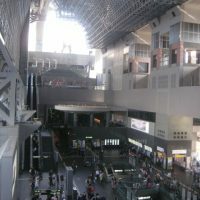 This is another version of Shinjuku excursion! 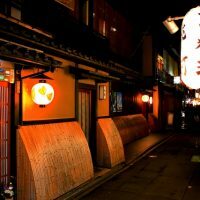 Why don’t you explore the nightlife of Tokyo by joining this tour to explore various izakayas (Japanese bars) and bars in Shinjuku? 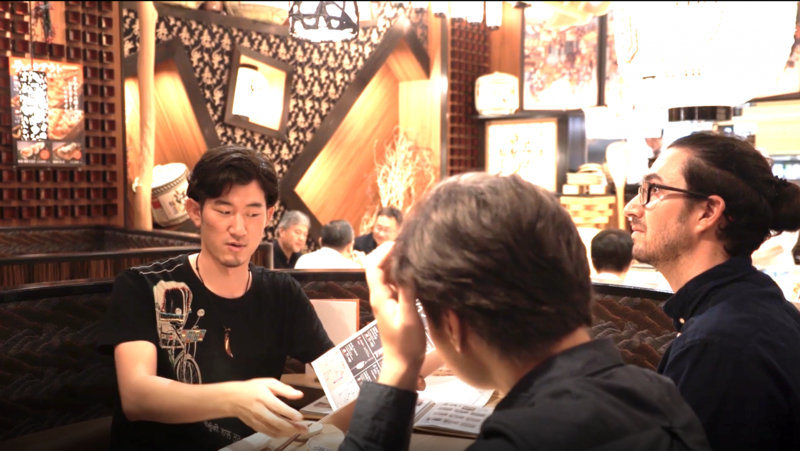 This will be a great opportunity as some Japanese bars do not really have the English menu and the presence of the local guide can really upgrade your izakaya experience! Shinjuku can offer one of the most amazing night light opportunities in Tokyo. Mingle with the locals in the deep back alleys of Shinjuku!!! This magical tour will take you to 3 different kinds of bars where you will enjoy the authentic Japanese izakaya experience. 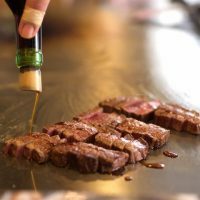 As in any izakaya, these bars will also offer you yummy dishes. 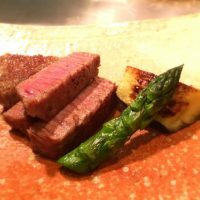 So think of this tour as a dining experience along with a few drinks! Your friendly guide will bring you to the lively streets of Tokyo's nightlife bar districts. Enjoy the local food and drinks at local Japanese bars you might not find on your own on this bar food tour! Shibuya is a popular district in Tokyo famous among young people for shopping. This area attracts many foreign travelers also because of famous spots like the Sibuya crossing (which may seem impossible to cross!) or the Hachiko statue. In this popular spot, the magical tour will guide you through the neon lit, busy, crazy streets to interesting 3 izakaya (Japanese bars). You can meet your guide at the Hachiko statue just like how the locals use this particular statue. You will get to explore the exciting and mysterious alleys that you probably find on your own for some meaty treats. Then the night can take you to a few other spots in this hip district. The friendly staff can help you experience the Japanese night out. 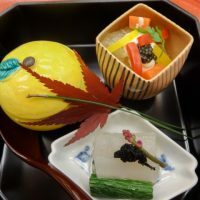 Would you like to have a nice relaxing traditional Japanese dinner while being guided on what you are eating, as well as the food culture of Japan? 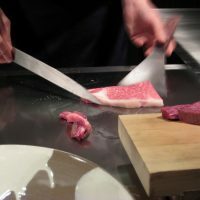 One let down of visiting an authentic Japanese restaurant tend to be the language barrier for those who don’t speak Japanese. Don’t you wish that you can have a deep conversation about the food and the culinary style while eating the traditional food? Then this tour might be perfect for you. You will visit 2 traditional yet fashionable Japanese restaurants in the sophisticated Akasaka district. 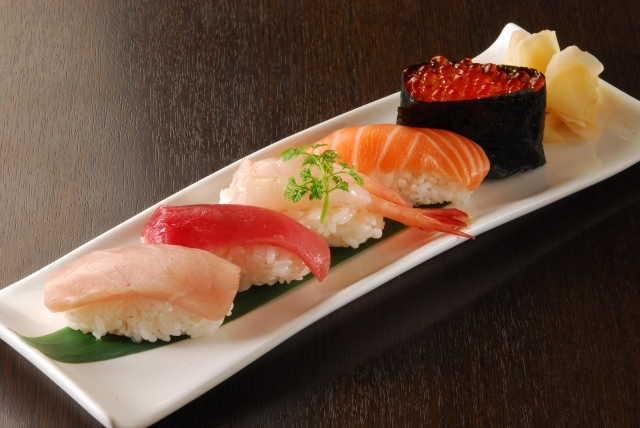 One restaurant is traditional and colorful sushi restaurant where you can savor in freshest sushi. Don’t get too full though because you will have a couple of more stops. 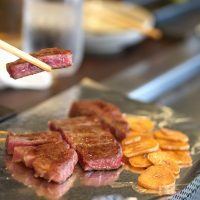 At the second restaurant, you will enjoy Kushiage. Kushiage is another traditional Japanese dish which is a series of deep fried bite size vegetables/meat that is originally became famous in Osaka. You will be a fan of this dish once you enjoy its crispy and fluffy texture. This is also a perfect dish to go with your beer. The best part is that you will be accompanied by a knowledgeable Japanese guide who can help you not only to choose your dishes but engage in deep conversations about Japanese culinary culture. To finish off the night, you will visit a cute dessert shop popular among the locals to experience a typical pastry café scene in Japan. 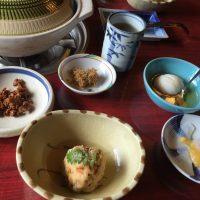 If you are a Japanese food enthusiast, I am sure you will enjoy this tour. This is a bar hopping tour in Asakusa. 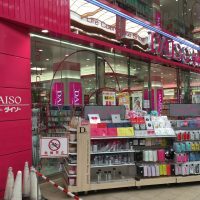 Through this tour, not only will you get to enjoy the amazing drinks and food, but your local guide will take you around the town to see the top tourist sites of Sensoji temple and nakamisedori (traditional shopping street in front of the temple) as they magically grow at night. The red lit temple gate would look marvelous at night. You will also enjoy okonomiyaki/monjayaki (Japanese savory pancake) that you will get to grill on the iron plate. This sure will be the memorable experience! Many tourists gather in Asakusa during the day, however the locals gather in traditional saloons at night. 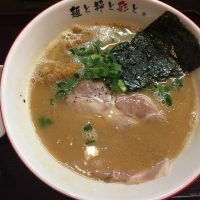 In this nightlife food tour in Tokyo, you will be able to enjoy alcohol as you have a great time! 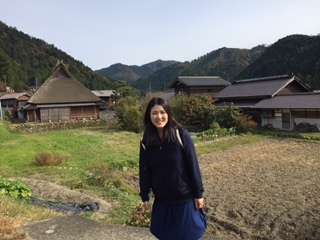 If you are curious as to how the Japanese young (and old) destress or have fun, join this tour! You will first visit the popular “memory lane,” an alley with lots of bars in Shibuya for a few drinks. Then you will go into a karaoke place. 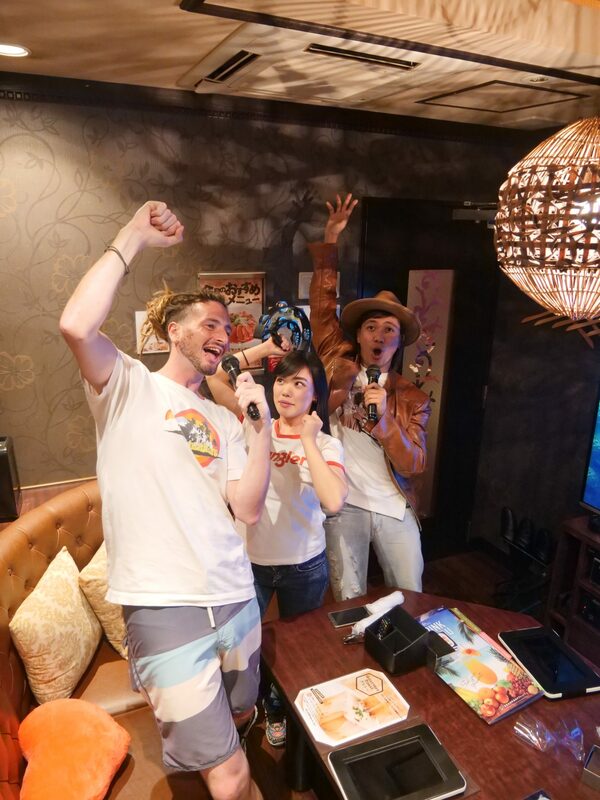 In many countries, you sing karaoke on a stage, in front of all the other customers, but in Japan, a typical Karaoke bar is a small private room that you book only for your group. You can sing, dance, dine, drink inside this room just with your friends. So you, your guide, and the fellow travelers you broke ice with from the first bar can feel comfortable singing in front of each other. The karaoke system will have tons of English songs, accompanied with really good sound system, so you can sing your heart out. This will, for sure, be a memorable night. Whether you join the tour solo or with your friends, I am sure you will have one of the best time of your life and make instant friends with others joining the tour. Shibuya really is a place that never sleeps. Hosting many bars and clubs, this place is packed with people until the dawn. This tour takes you to a few types of clubs where you can dance your night out. Typically, the tour starts in a DJ bar where you, fellow travelers can get to know each other over a few drinks while being surrounded by a good music. Then the group will visit one of the most popular clubs in town. Since you will be guided by a local guide, even club beginners can feel comfortable. This tour is perfect also for a solo traveler who is looking for a company to go clubbing with or a club enthusiast who needs a local tip on the best club. The package comes with the club entrance to one of the clubs! Experiene the authentic deep Tokyo nightlife culture and Tokyo's nightclub scenes with a local club master in Shibuya. Get insights into how to enjoy a night in Toky from a local guide. 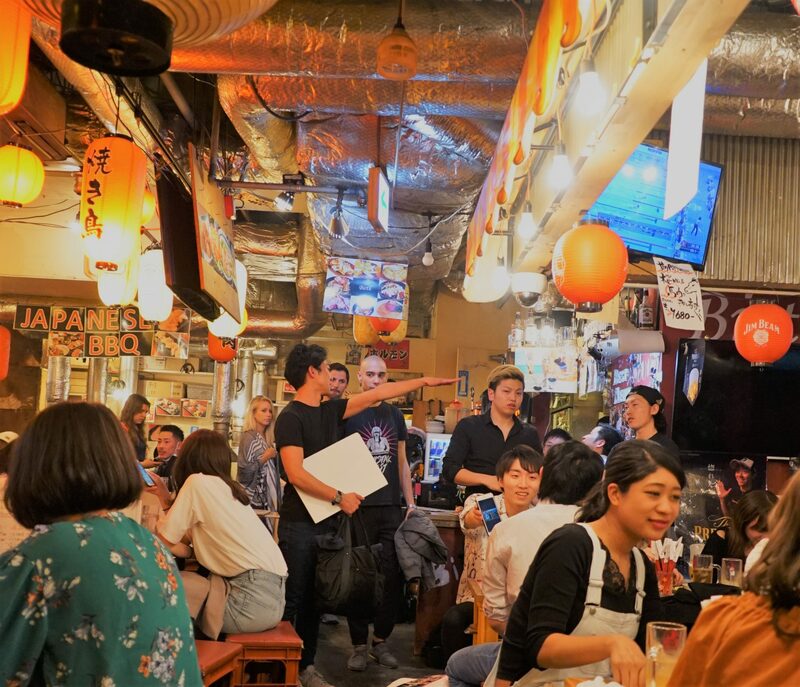 .Tokyo Bar Hopping Food Tour in Shinjuku・・・This will be a great opportunity as some Japanese bars do not really have the English menu and the presence of the local guide can really upgrade your izakaya experience. 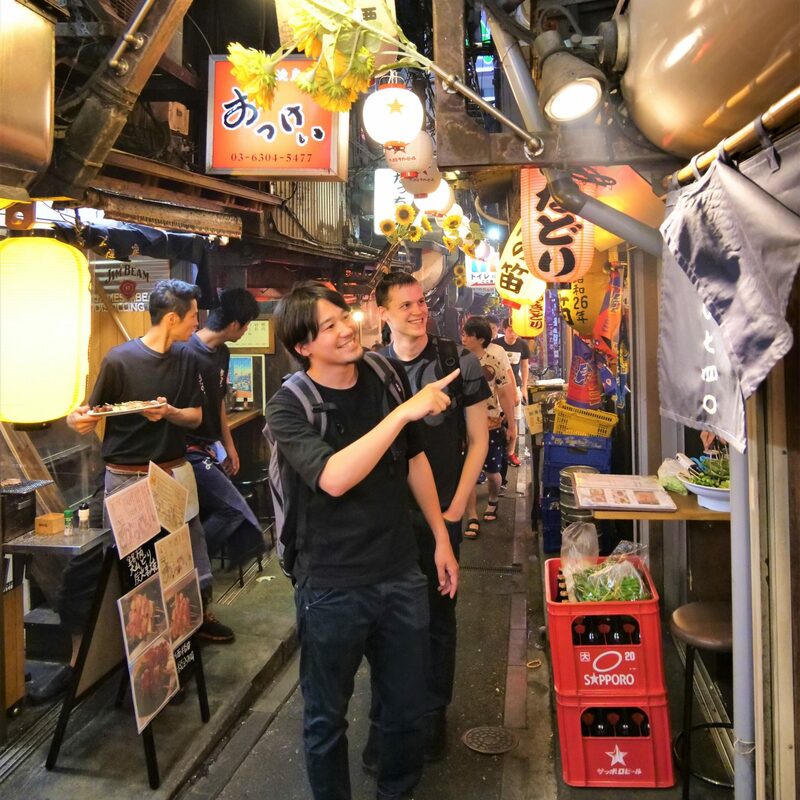 .Shibuya Bar Hopping Night Tour in Tokyo・・・In this popular spot, the magical tour will guide you through the neon lit, busy, crazy streets to interesting 3 izakaya (Japanese bars). Sushi Tasting Culinary Tour in Tokyo・・・You will visit 2 traditional yet fashionable Japanese restaurants in the sophisticated Akasaka district. 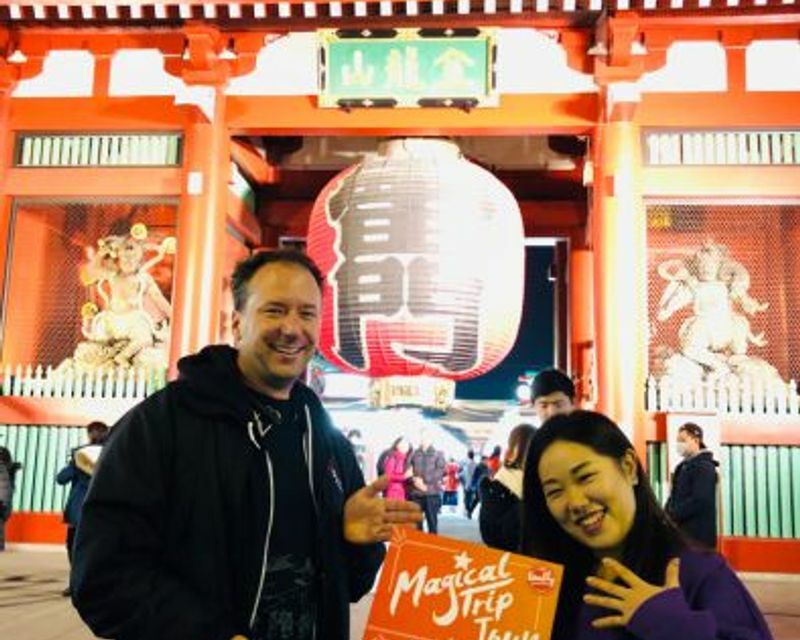 Asakusa Night Foodie Tour・・・Through this tour, not only will you get to enjoy the amazing drinks and food, but your local guide will take you around the town to see the top tourist sites of Sensoji temple and nakamisedori. 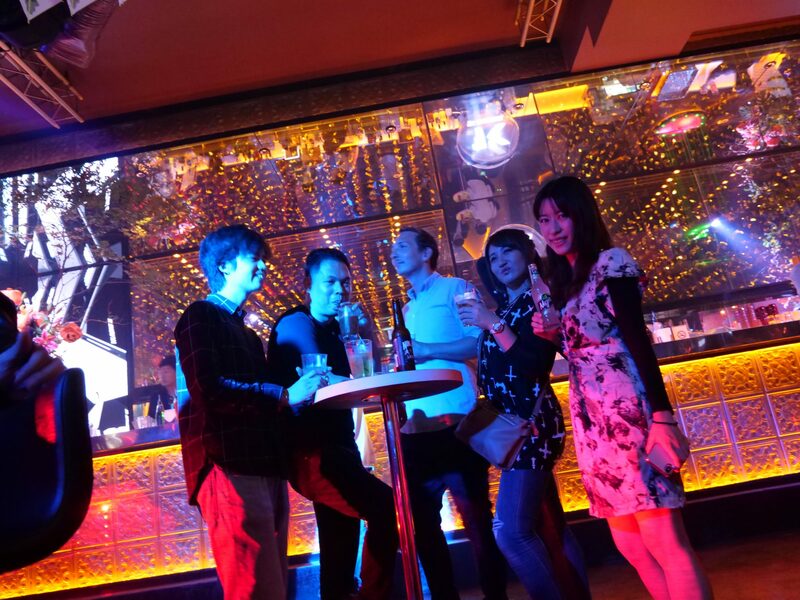 Night-time Karaoke Bar Experience in Tokyo・・・You can sing, dance, dine, drink inside this room just with your friends. Tokyo Nightclub Patrol with a Local Party-Goer・・・This tour takes you to a few types of clubs where you can dance your night out. 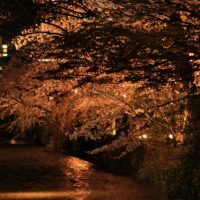 I hope you’ll enjoy these night tours in Tokyo!